SOLD. Mods, please feel free to lock or delete. For Sale: 2013 Ford Focus ST, Tuxedo Black over black/grey cloth, ST1 trim, fully GS prepared: $13,000 OBO takes the lot. This is a complete, turn-key package if you want to autocross in G-Street. Keep in mind that a 2013 is the only Focus ST for which you can readily buy aftermarket front struts, legally, for GS. And I've already bought them and had them revalved for you! For autocross purposes, the only things left on the table are a lighter-weight, but not street friendly, exhaust, and perhaps some even lighter 17x8 wheels. It's also a great daily driver and family trip car. The shocks ride a little hard over undulations, but the base seats are great, the AC is great, and I've made several subtle modifications to make it a more enjoyable street car. I won GS at the 2017 Dixie Championship Tour in this car, and at our large-ish local events, it's usually at the sharp end of the PAX standings...and that's with me driving it! It's a fast, well sorted car. Aside from the factory exhaust, I have the original parts for everything that's been modified. I'd like to run an SSC car this year. In order to do this, I need to first sell the Focus. I bought the car used, from Asheboro Ford, I think with about 13K miles on it, in February of 2015. Soon thereafter, I had the motor mount TSB performed there, to upgrade to the Focus Electric motor mounts. The car has never been in an accident - I've verified this myself with a paint meter. The car weighed about 3040 on the scales at Dixie in 2016, with 1/4 tank of gas and all the trunk stuff removed. This is an ST1, so it's got the base seats and no sunroof. And being an early build 2013, it's got the "small" front brakes. It's probably the lightest Focus ST you'll find. 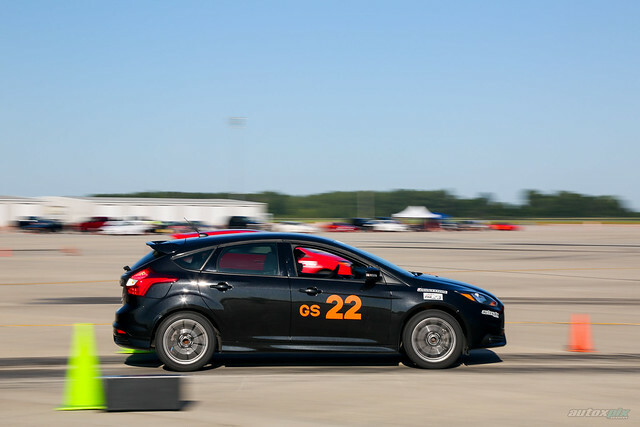 Pretty quickly the autocross mods started, but I'd say I've done less than 30 autocrosses in this car. The factory bluetooth connection has been unstable since I bought the car. I'm not much of one to talk on the phone while driving, so I never fixed it. The flip-up lid for the washer fluid reservoir cracked. Such a weird problem, and I'd forgotten about it until just now. Some dingaling hit it in its driver side rear corner, behind the wheel. There's some paint off the rear bumper cover, and the sheetmetal is a little bent. I've no idea who did it, or where, I found the damage while it was parked in my garage. Probably someone in the deck at work. I have not had this fixed yet, because if I trade the car in, I'd rather it have nothing on its Carfax report. That's it. This car has been essentially perfect. 17x8 Moda MD18 wheels, +48mm offset, with 40-ish run 255-40-17 Bridgestone RE-71R tires mounted. They should be flipped, but are still plenty fast. They were bought already heat cycled by TR, and their first event was the Dixie tour this year. 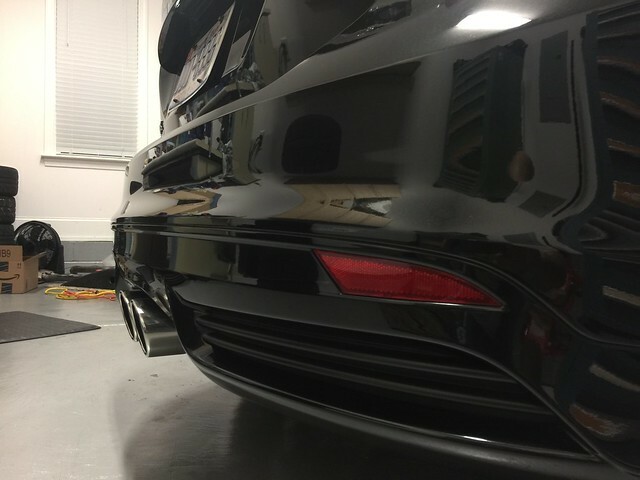 Mountune 2.5" cat back exhaust. This isn't a light exhaust by any means. But it's whisper quiet when you're just driving around town. It's also beautifully made. Revalved Bilstein B6 shocks and struts, non-adjustable. These were valved to be digressive, with quite a lot of low speed force in them. They might be too stiff in compression for some surfaces, but for my local sites I like them a lot. Mid-corner bumps and cracks don't upset the car at all. Dyno sheets come with the car, along with the contact info for my Bilstein guy. JLT Performance inline PCV catch can, between the intake tube and the valve cover. There's rarely anything of note in it. Carbotech AX-6 brake pads front and rear. Currently in a box, because street driving with them is pretty miserable. I'm also not convinced they're necessary. Raybestos Element 3 brake pads on the car now. Surprisingly good performance, very little dust, and zero noise. I am a fan. They held up fine to two drivers on a hot day. Alignment set to zero toe rear, and just a shade of front toe-out. 235-40-18 Michelin Pilot AS-3 tires mounted to the factory 18x8 wheels. They are at appx. 2/3 tread. That's a guess, but they are pretty low mileage, since most long trips are to autocrosses, and I drive to events on my Bridgestones. Philips X-TremeVision low-beam, high-beam, and foglight bulbs. Great upgrade, far better than I expected. 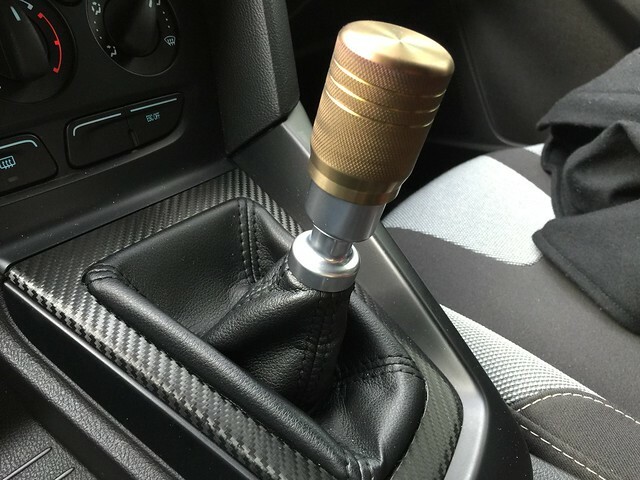 WC Lathe Werks bespoke titanium shift knob. This was embarrassingly expensive. 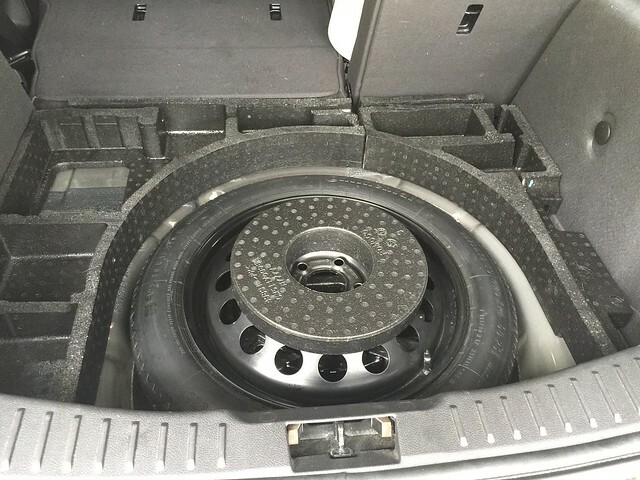 Compact spare tire conversion. 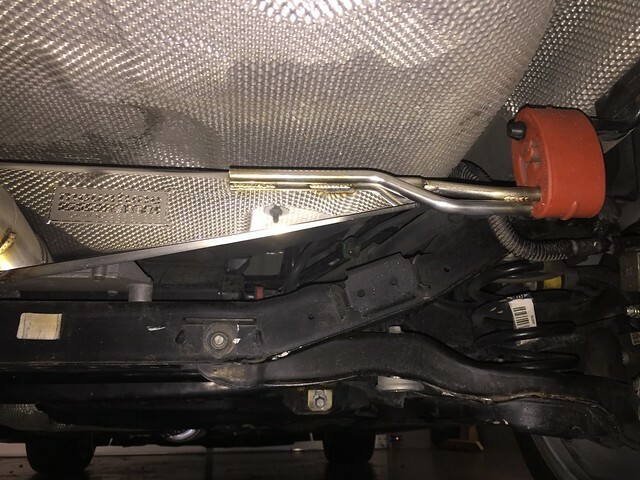 This involved acquiring the spare wheel from a Volvo S80, along with a spare set of the foam blocks for under the hatch floor. After carving 2" or so off the foam blocks, I was able to lower the cargo floor by about 2". Doesn't sound like much, but makes a nice difference to cargo capacity. The original, full size spare, and the original foam supports, come with the car. Husky floor mats front and rear. Ford floor mats will be included with the sale. 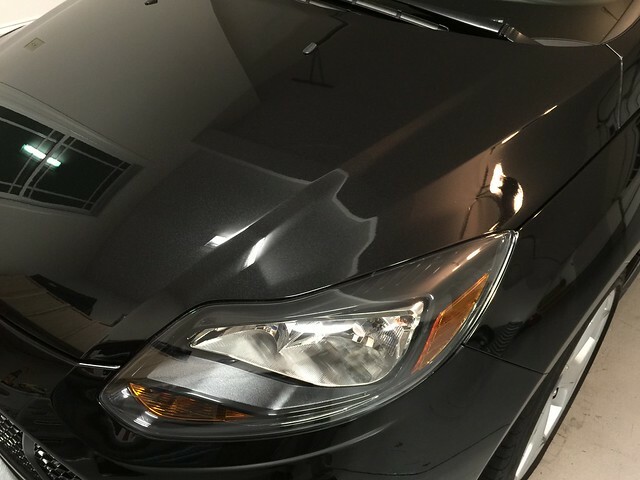 Brake fluid flushed annually, in the winter as part of pre-season prep, with Pentosin DOT 4 LV fluid, which is the correct, Ford-specified viscosity for this car. It's also the LV fluid with the highest wet and dry boil points that I could find. Amsoil Signature Series 5W-30 and Motorcraft oil filters used throughout my ownership, at a 5000 mile interval. I have a bunch of pictures of this car, but not all are uploaded to Flickr. Here's a teaser. Questions? I'm an open book when it comes to my cars, so ask away. This is one of those cars that I'll probably look back on and regret selling. It's the only car I've ever had any national level success in, but three years is a long time for me to keep a car, and SSC beckons. Last edited by Karl Shultz on Sun Feb 04, 2018 8:12 pm, edited 2 times in total. This is now for sale again, with a bigly reduced asking price. I'd like to get a twin (Scion FR-S or Subaru BR-Z) to build for SSC this year, and that means this car needs to be sold. Wanted to give this one more shot before trading it in, which would be a shame. Sale pending to someone in Alabama.